A rule that companies include in food labels the amount of sugar in sweetened beverages is intended to curb new cases of type 2 diabetes, cardiovascular disease, and other chronic conditions. Labeling the added sugar content of soda could save $31 billion in health care costs, according to new research from Tufts University and the University of Liverpool. In 2016, the U.S. Food and Drug Administration mandated that companies include in food labels the amount of added sugar in sweetened beverages. The rule, which has been delayed until 2020, is intended to curb new cases of type 2 diabetes, cardiovascular disease and other chronic conditions for which people who consume an unhealthy amount of sugar are at risk of developing. “Of all sources of added sugar in the US diet, [sugar-sweetened beverages] are the largest contributor and most consistently linked to cardiometabolic risk,” the authors wrote in the study, which will be published online Monday in the American Medical Association journal Circulation. The FDA defines “added sugars” as those added during the processing of foods and includes sugars from syrups, such as high-fructose corn syrup. Through a predictive model for 2018 to 2037, researchers found that mandatory labeling could prevent 354,400 cases of cardiovascular disease and 599,300 cases of type 2 diabetes, resulting in health care cost savings of $31 billion. Researchers found an even greater health and financial impact if companies reformulated their drinks to have less added sugar in addition to including labeling sugar content: 708,800 cardiovascular disease cases and 1.2 million type 2 diabetes cases avoided, with a health-costs savings of more than $57 billion over the 20-year study period. The study’s model showed that over time, labels would lead to people consuming fewer sugar drinks. The model used data from the Centers for Disease Control and Prevention’s National Health and Nutrition Examination Survey to understand current added sugar intake among adults. Next, researchers needed to estimate the effect of labeling on people’s behavior. One limitation of any predictive model study is that it does not represent health outcomes, but rather estimates outcomes based on related data. Researchers estimated labeling would reduce added sugar consumption by 6.6 percent because a previous analysis of 60 food-labeling studies found that labeling reduced sugar intake by that amount, on average. Tactics to reduce the amount of excess sugar are often met with ire by consumers. For evidence, look no further than Philadelphia’s soda tax, which went into effect at the beginning of 2017. 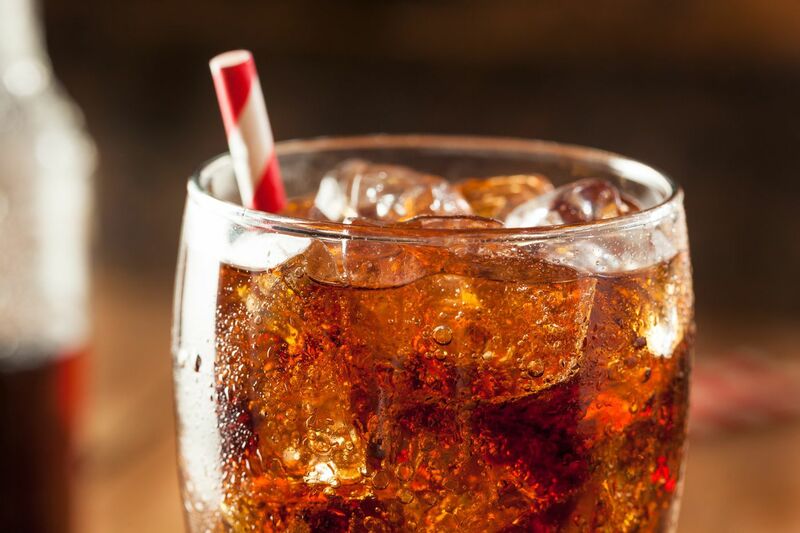 Various studies have found the tax reduced soda sales by as much as 57 percent, but others have suggested consumers are simply heading across city lines to buy soda. A survey by the American Beverage Association, which opposes the tax, found that 60 percent of Democratic voters in the city opposed the tax. Still, the authors of the sugar-labeling study say such efforts are essential for public health. “Despite these ongoing efforts, added sugar intake in the United States remains high. Declaring added sugar content on the Nutrition Facts label, together with the percentage of Daily Value to help consumers contextualize such information, is a key policy opportunity to target not only [sugar-sweetened beverages], but all added sugar from all packaged products,” they wrote.